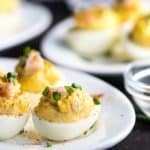 Looking for a different deviled egg recipe that will blow your holiday guests away? 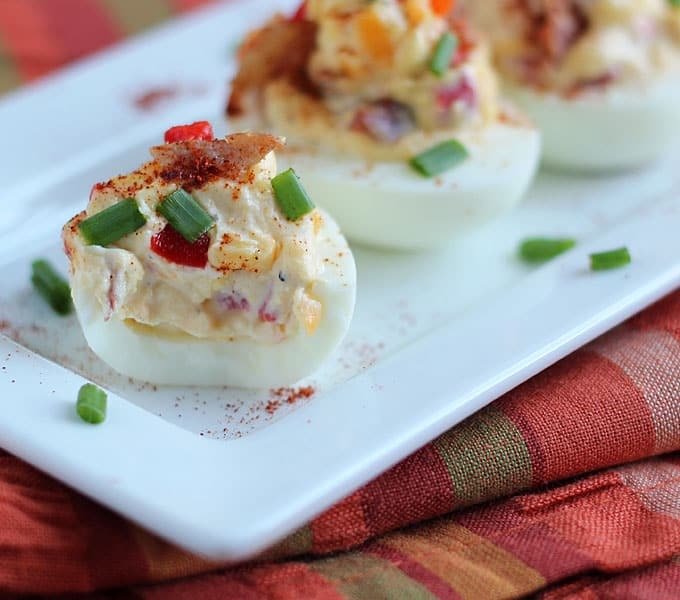 This recipe combines two of the South’s staples into something spectacular: Pimento Cheese Deviled Eggs. 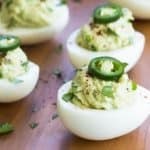 Why I haven’t thought of making these earlier in life I will never know. 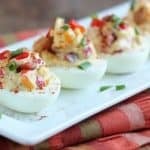 Besides, pimento cheese and deviled eggs are two of my favorite comfort foods, so why not combine the two? 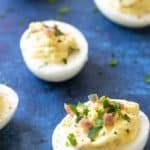 I came across the idea while browsing through different deviled egg recipes. So I threw together what I thought would taste good, and added BACON. 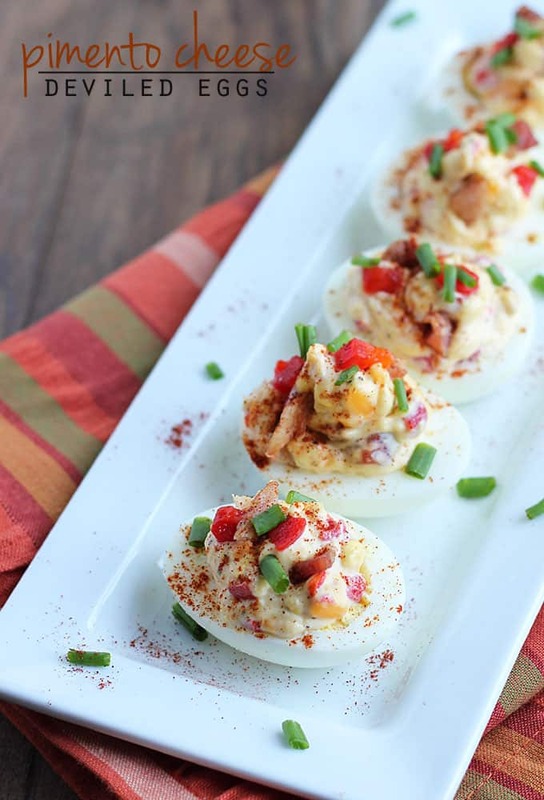 Because when you’re taking chances, everything’s better with bacon, right? 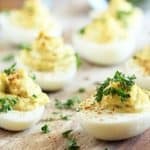 Of course I couldn’t give Chance anything with pimentos in it, but I made a few extra boiled eggs to add into his food as a special treat… like the sirloin I made him tonight wasn’t a treat enough! 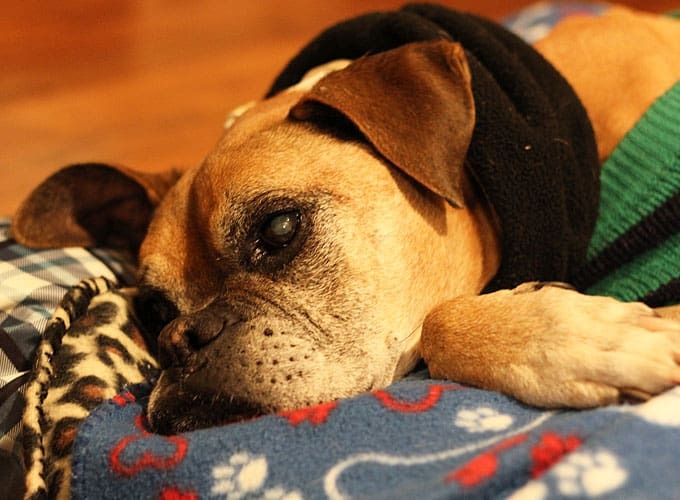 🙂 It has been frigid cold here in NC and he’s sporting his neck warmer and sweater like a champ. 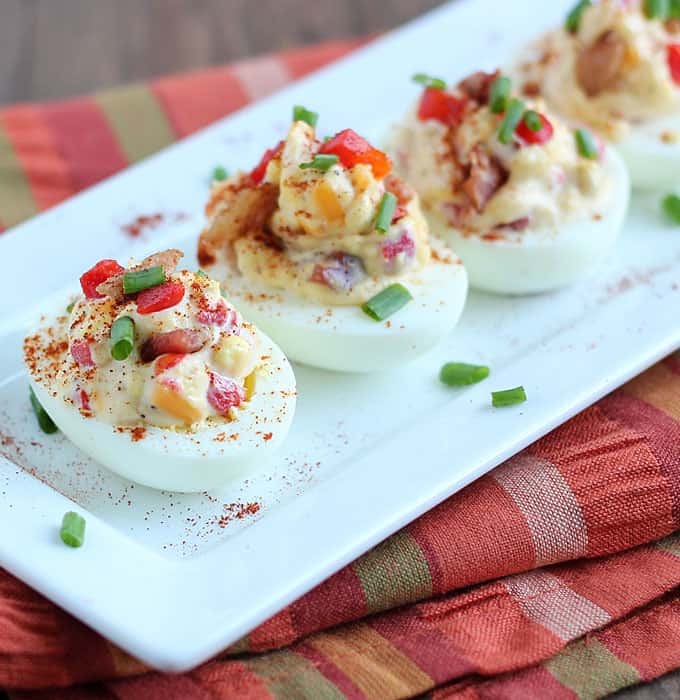 What’s your favorite spin on deviled eggs? Add mayonnaise, pimentos, cheese, bacon pieces and Tabasco sauce and stir well to combine. Season with salt and pepper, to taste. 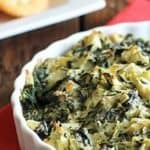 Spoon mixture into egg whites, or place mixture into a piping bag (or Ziploc bag with the corner tip cut off) and squeeze into egg whites. Sprinkle with paprika and chopped fresh chives.